• An interview with Susan J. Matt, author of a new history of homesickness. • Chris Gehrz on the troubled history of Dickens World (an amusement park that tries to recreate the mid-19th century London familiar from Dickens’ stories), and why such “living history” projects are still worthwhile, even inspiring. • “Be mine” candy hearts on Valentine’s Day had Heather Cox Richardson wondering: did Civil War soldiers really carry an early version of Necco Wafers in their rations? • The history of Zomia, a transnational borderland including parts of China, India, and Southeast Asia that is virtually free of control by any state. • One British historian (angered by the “defunding of the humanities in UK universities“) takes a breath and asks what role history and historians ought to have in contemporary politics. • In honor of our impending national celebration of Presidents’ Day (made your party plans yet? 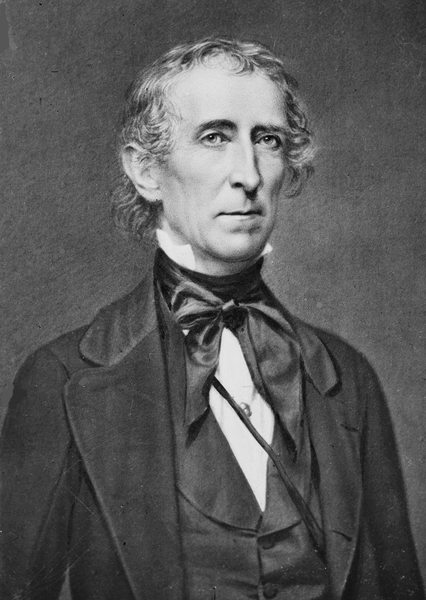 ), The Fix, the political blog of the Washington Post, is inviting comments nominating “the most underrated president.” A few named so far: James Madison, James K. Polk, Harry S. Truman, and Bill Clinton. Like most scholars, I was skeptical about Wikipedia when Jimmy Wales first launched the site back in 2001. The notion that unvetted volunteers cooperatively contributing to an online encyclopedia might produce a reference work of any real value seemed at best dubious—and, more likely, laughably absurd. Surely it would be riddled with errors. Surely its coverage would be ridiculously patchy. Surely it would lack the breadth, depth, and nuance of more traditional reference works like the venerable Encyclopedia Britannica. My initial skepticism is now proof of how little I understood what Jimmy Wales grasped far better than I. Wikipedia exploded from an initial 20,000 articles in 18 languages during its first year to more than 19 million articles in 270 languages (3.8 million of them in English alone) written or edited by 82,000 active contributors. Whatever reservations one might still have about its overall quality, I don’t believe there’s much doubt that Wikipedia is the largest, most comprehensive, copiously detailed, stunningly useful encyclopedia in all of human history. Like much on the internet created in a mechanically templated multiauthored environment, [Wikipedia] is at its best when presenting simple descriptive summaries and linear narratives broken down into predictable taxonomic subsections that can be composed and edited in modular units. Long, complicated interpretations exploring subtly interacting historical causes in carefully contextualized analyses or beautifully flowing narratives—these one will never find on Wikipedia. provides an online home for people interested in histories long marginalized by the traditional academy…. In the wikified world of the Web, it’s no longer possible to police these boundaries of academic respectability, and we may all be the better for it if only we can embrace this new openness without losing the commitment to rigor that the best amateurs and professionals have always shared more than the professionals have generally been willing to admit. So in the end, he sighs, “If you can’t beat ’em, join ’em.” Just as scholars in math, sciences, engineering, and music have long since turned their energies to improving the quality of Wikipedia entries in their fields, Cronon encourages history professors (or their students, as part of class projects) to help improve historical pages (or supply them, when they’re missing altogether). 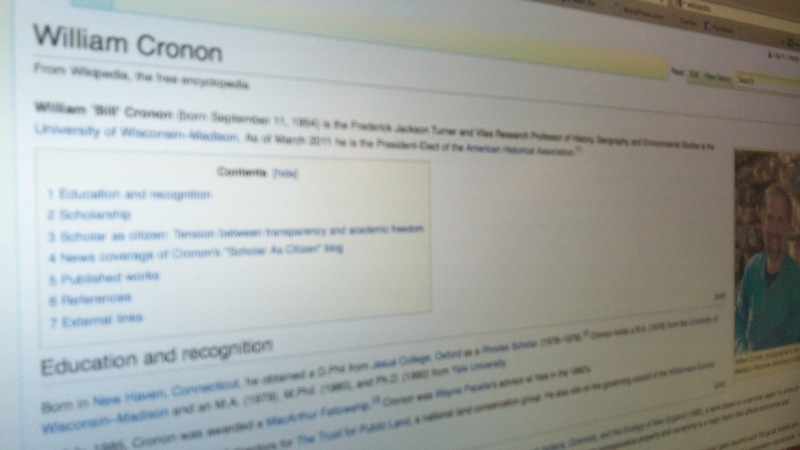 What do you think of the quality of Wikipedia? Have you ever edited an entry? 1. Networking: social media can connect younger historians with senior scholars, and help form online communities among younger peers who can share experiences and advice. 2. Acculturation: here blogs might play a particularly important role, especially if you’re a Bethel student or recent alum trying to decide if grad school is for you. 3. Spreading and sharing knowledge: earlier Hattern mentioned the phenomenon of sharing research findings (often from the archives themselves); he also points to blogs as places where young scholars can share book reviews and perhaps (least likely) to attract attention from publishers. 4. Be careful: the chief downside Hattern identified had to do with social media becoming part of job searches. Careless posts on Facebook or Twitter might come back to haunt your candidacy for a job later on. Our third Senior Seminar journal entry from the beginning of the semester (and last for a week or so) is written by Christina Anderson (’12), who reflects on how she came by her interest on a particular chapter in the history of women and higher education in the United States. 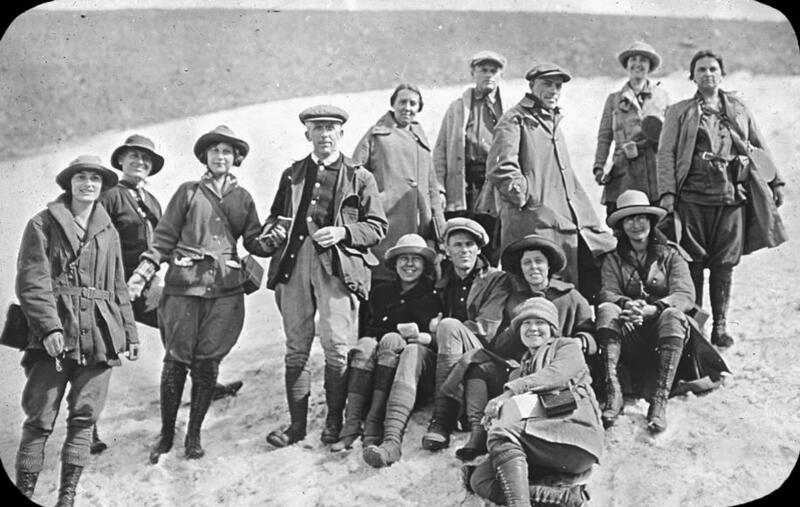 I propose to study American Midwestern home economics departments in regards to higher education for women in the 1900s in order to discover how these women pursued their higher education at a time when they were beginning to be accepted into universities, so that I can aid in the understanding of the acceptance of women into greater roles in society outside of the home. I hope to prove through this study that by gaining a higher education through the home economics departments, these women were able to move out of the “cult of domesticity,” thus modifying society’s view on gender roles. Settling on this particular topic was a difficult task. When presented with the assignment to choose a topic for my research project, I was overwhelmed by the significance of choosing a single topic that I will then research and develop over the next three months. In my mind, I had to create the perfect topic. I came up with a list of possibilities regarding areas that interested me. One overlying theme that I am always drawn to in any research project is the role of women, so I knew that my topic had to pertain to this aspect in one way or another. The problem was now how do I develop a more specific topic. I still had the idea in my head that my topic had to be perfect, but none of the ideas I developed satisfied my interest; they felt “off.” Finally, the night before I had to present my idea for research project topic, I formulated a completely new idea that related to the study of women’s roles – women gaining higher education in the 1900s.This quickly developed topic felt “right.” I was excited to begin research and immerse myself in the topic. What excites me about researching this particular topic is that my great-grandmother was a student studying at the University of Chicago at this time, and my family still has letters she wrote to her father from when she was a student. I hope to be able to use these letters as one of my resources in gaining an insight into what life was like for a female student during this time period. My main concern is gaining enough primary sources that pertain to this topic, especially student experiences in order to be able to determine if their higher education influenced their lives. As I begin my research project, I hope to gain a greater insight into my topic. I am settled on an overarching idea, but I am interested in seeing how it will be transformed as I work on it throughout the semester. As we announced at the beginning of the month, G.W. Carlson is retiring in May. 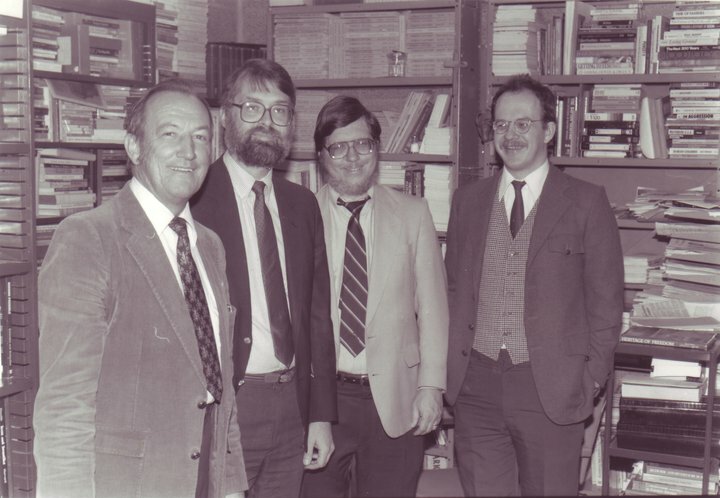 I’m a little sketchy on my history of the History Department at Bethel, but I think that the last member of our faculty to retire was Jim Johnson, longtime U.S. historian. According to our most recent alumni survey, something like 10% of our graduates work in the non-profit sector, and many more aspire to such a career. So today we’ll highlight a couple of upcoming presentations that might help students and recent alumni break into this field. Since 1960, Peace Corps workers have given their time and energy in over 135 host countries in the areas of education, youth outreach, community and business development, agriculture and environment, health and HIV/AIDS, and information technology. This exciting experience includes benefits such as: living allowance, medical care, transportation to/from country of service, and stipend upon completion of the 27 month program. As a liberal arts major and then Peace Corps Volunteer, I understand just how intertwined we all are in this world and how relationship-based life really is. In school, I cast my net wide to learn about a broad base of subjects, while volunteering in my community. This background helped prepare me for Peace Corps service, where I was able to work with people to improve their lives while also exploring my passions and specializing my skill sets. 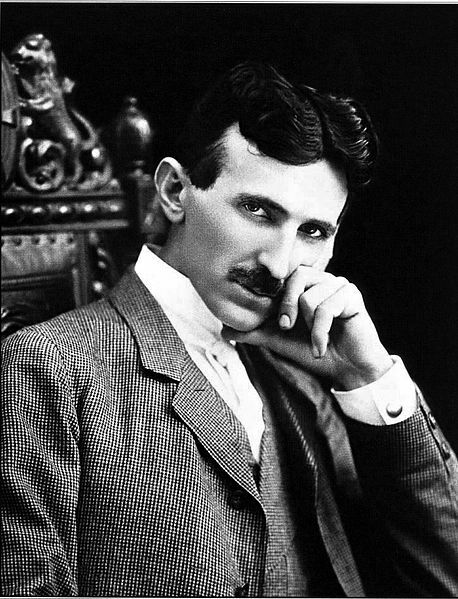 RESEARCH QUESTION: Throughout history, the relationship between Thomas Edison and Nikola Tesla has been portrayed as tension-ridden and tumultuous and Edison came out the victor in terms of historical longevity. Is this because Edison had the right publicity team, better ideas and scientific practices, or because he had better connections? It didn’t take me long to settle on this topic. I began assessing what my favorite areas of history were and then aimed at integrating my new found curiosity with history: why are some historical figures more memorable than others even if their work was not as memorable. By using these standards for finding a topic, I settled on the relationship between Edison and Tesla. In my education up to this point, I have learned little about Edison, but nothing about Tesla. I began pondering why that was the case? Was Tesla not as influential as Edison in his contributions to science or was he not easy to publicize and promote and therefore became a shadow under Edison? In settling on this topic, however, I realize I have to be prepared to come to some dead ends in my research. Researching the lives of Edison and Tesla and even their contributions to science will be time consuming, but there are likely many books and journals published on the subject. But determining why Edison was more popular will be more difficult. Other people may have already hypothesized as to why Edison was more memorable, but I may not find an absolute conclusion through my research. I have yet to delve deeply into researching Edison and Tesla and may be pleasantly surprised at the information I find regarding their popularity. However, I am preparing myself to reflect more critically on the question and come to a conclusion based on sheer facts of their lives. • Did you know that well into the Civil War, African-American slaves were forced to help build and maintain Confederate railroads? Or that, for many of these workers (up to 10,000 in one week in 1862), those (not-so-underground) railroads became a convenient way to escape to the North? • Frank Gehry’s design for the new Dwight Eisenhower memorial on the Mall in Washington, DC (scheduled to be completed in 2015) is drawing criticism from the former president’s family. That prompted our own Chris Gehrz to put on his amateur U.S. historian hat and investigate the history of presidential memorials in the nation’s capital. • Speaking of presidential history… Barry Landau, a “memorabilia collector and self-styled expert on presidential history,” pleaded guilty to conspiring to “collect” thousands of documents from the archives where they’re housed. Some of the more notable items stolen: a land grant signed by Abraham Lincoln ($300,000 value) and half a million dollars worth of presidential inauguration mementos. • But another such “wormhole” closed last Saturday when the last surviving veteran of World War I died at the age of 110. She was an Englishwoman named Florence Green, who joined the Women’s Royal Air Force near the end of the war in 1918. As we hinted at earlier this week, throughout the semester we’ll be featuring posts from students in our capstone course, HIS499 Senior Seminar. Posts are taken (with students’ permission) from the seminar journals in which students will weekly reflect on their research projects, or questions related to the philosophy and methodology of history. For their first journal entry, students took a first attempt at stating their research question or thesis, and then explained why they find the topic intriguing, exciting, challenging, etc. Our inaugural post comes from Jon Steen (’12), whose choice of topic reflects his experience last fall studying in Ghana. 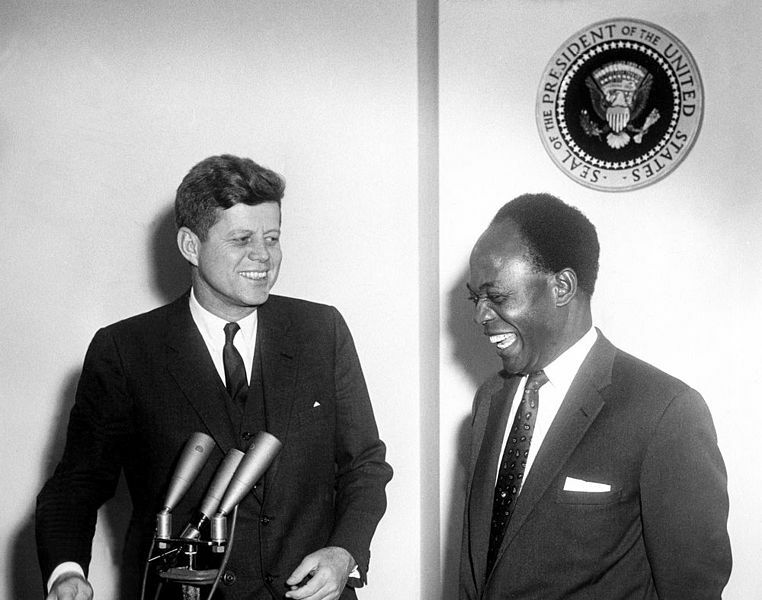 RESEARCH QUESTION: What was the role and impact of Kwame Nkrumah in the Cold War as a non-aligned figure? This topic is exciting to me for two reasons. First, the world is becoming more global every day, so it is becoming more and more necessary to actually look at history beyond what is immediately in front of us. I know that one’s own history is vital for one’s identity, but there is something to speak to about opening one’s boundaries and stepping out of one’s comfort zone and historical tradition. With the world being more connected, it is becoming more imperative to begin to incorporate other traditions, so that everyone can better understand one another. To the surprise of many Westerners, the world does not operate the Western way. It makes sense in Western nations, but when these ideas are taken out of its original context, they are unsuccessful and counterproductive. Instead of imagining our viewpoint everywhere, we should be more open to hearing and understanding how other cultures view the world. It will break the communication barrier and better humanity. I can only look to doing this with history, since that is what interests me the most. There are problems to approaching this paper concerning Ghana and Kwame Nkrumah within a Western setting. The biggest one is the conception of history within both societies. The Western tradition looks to rebuild the past so that we can understand precisely what we did right and wrong to move into the future and not repeat our failures. Ghanaian culture does not even have a word that is the equivalent of the word “history.” Their tradition is not like the West, for they look to tell stories of the past to which they can better understand the world they currently are living in. It is not about historical accuracy, but about historical meaning. Since this paper is dealing with modern times and is taken within the Western context, I am alright with working through the Western concept of history, but I will certainly be making notes throughout my paper to better complement how a Ghanaian would view what I am writing. The second reason is to do something radically different than what other Bethel-ites have done in the past. The most common area of focus for Bethel history majors is something involving Minnesota history. It is good to look into this area to better understand ourselves, but honestly it seems that it has been covered so many times by other people that it sounds rather boring to me. I want to pave the way for future Bethel students to think beyond their immediate context and look into a world where other cultures are respected equally with their own. As far as personal experience goes, I feel quite prepared to take on this task. I have had four months in Ghana to witness first-hand how they view the world and what their perception of history is. I have also heard and read a lot about Kwame Nkrumah, since he is Ghana’s biggest national hero, and there is plenty written about him. However, what will make this a challenge is getting primary source material. As far as this aspect of the paper goes, I am not fully prepared to take on such a task. I have to do some research and see if I can find anything online about his or his staff’s personal writings. 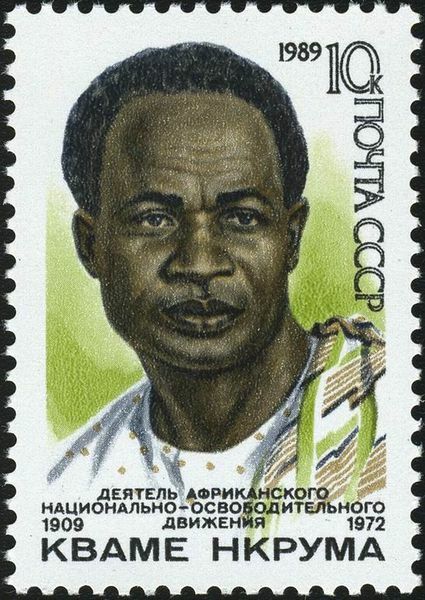 But I do know that there have been numerous correspondences with key Cold War players and Nkrumah, such as Kennedy, Khrushchev, Tito, and Mao. Perhaps these may be available online as well. So I have an idea of what primary source material I can work with, but the actual material may be difficult to access from Minnesota. I am certainly not worried about secondary source material; there are plenty of resources that can play into my topic. But I am excited for the challenge and am prepared to put the necessary work into this paper! Stillwater, Minn. – The Washington County Historical Society (WCHS) is offering a scholarship for post-secondary students. The deadline for applications is March 15, 2012. The goal of the Washington County Historical Society Scholarship Program is to encourage historic preservation and interpretation, and to encourage students to study history by providing financial assistance in the form of an educational scholarship. applicants must be a member of the Washington County Historical Society, or have an immediate family member who is a member of WCHS. To download an application form, please visit www.wchsmn.org or call (651) 439-5956 to have one mailed. Please send applications to: Washington County Historical Society, c/o Scholarship Committee, P.O. Box 167, Stillwater, Minnesota 55082. The deadline for applications is March 15, 2012 and the recipient(s) will be notified by April 1, 2012. The WCHS scholarship is made possible by an annual grant from the DeLonais Foundation.